Consumers who use the Internet to look for a local service provider expects a business website to provide them the information they are looking for as quickly and easily as possible. They are also doing a lot more research online and looking at your competitors' site, so you want your prospective customers to get a good first impression when they check out your website. We help transform your website into an online asset that makes you stand out against other companies and brings in leads from online sources such as search engines and social media. You want a website where visitors can quickly find the information they need, whether they are on their desktop computers or on their mobile phones. In fact, a recent study shows that 63% of searches use multiple devices to find local businesses, with 79% of them using their mobile phones and 81% using their tablet devices. With more consumers using mobile devices, you want to give them a better experience when they visit your website. 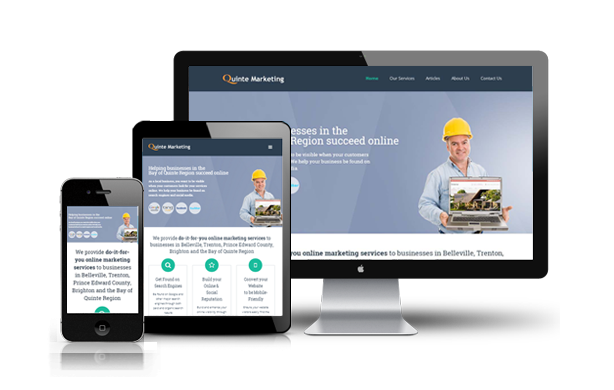 We convert your current website into a mobile-friendly and responsive site (if your web platform allows it). 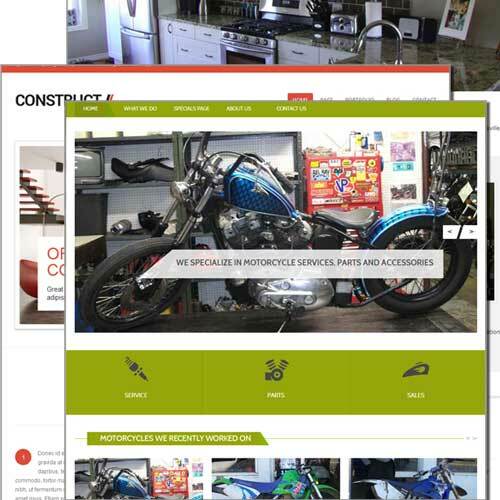 Responsive websites recognize what device is being used to browse your site and resize itself accordingly, so your visitors quickly find what they are looking for. 78% of local mobile searches resulted in an offline purchase. We create "contact us" forms for your website that make it easy for your prospects to request more details; it also allows you to keep track of leads that come in. We also ensure that your business contact info (i.e. phone number, business hours, address and directions) is readily accessible while browsing on mobile devices. 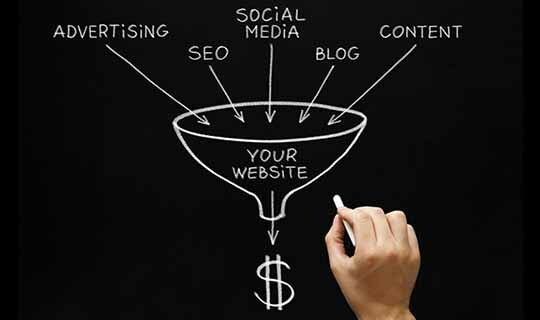 Learn where your leads are coming from and which keywords are driving traffic to your website. 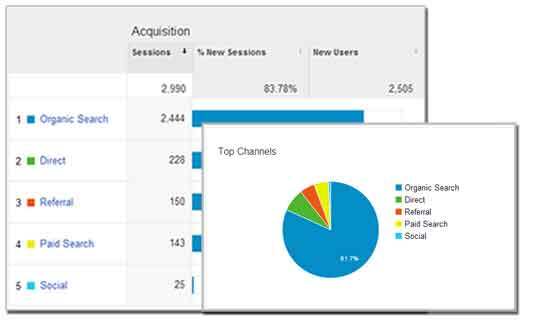 We setup Google Analytics and Google Search Console (formerly called Webmaster Tools) to track web visits and lead conversions, and have monthly reports automatically emailed to you. We also analyze the reports, make recommendations and implement these changes to further improve on your website's productivity. Don't have a website yet? We can help. If you want to get leads and customers online, you will need a website to gives your visitors a professional first impression of your business. You want your website to properly represents what your business stands for, what you do, and showcases the quality of your work. We offer cost-effective website development services from great looking templates which we then customize for you. Our services include strategic planning, brand development, copywriting, content optimization and coding of your website. To give you an idea on how much websites cost, here is an article that outlines the factors that will impact the price of your website. Our main goal is to drive traffic to your website and generate leads for your business, so if you already have a web designer/developer, we will work with them from a marketing perspective to make sure you get a website that brings you business. Updating your website regularly with new relevant content not only shows your visitors that your business is active, it also helps with your search engine rankings. Our website maintenance service lets you focus on growing your business, while knowing that you have access to web experts to maintain and update your content at any time. Click here to read more about how much websites cost. We make any small changes to your website, such as adding new articles, photos and testimonials to your pages, setting up sign-up forms, adding live chat widget -- all for a flat monthly fee. Whenever you want any changes done to your website, simply call or send us an email with your requested changes and we are committed to completing the job within two business days. We support most website platforms, including static HTML websites, Wordpress sites and sites created on popular hosting platforms such as Wix, Weebly, Yola, GoDaddy and SquareSpace.